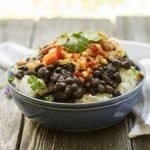 Beans and rice are one of my favorite pantry weeknight meal. Yo know those day where you really need to go to the grocery store, but you really just want to get home and rest? This dinner is the perfect solution. 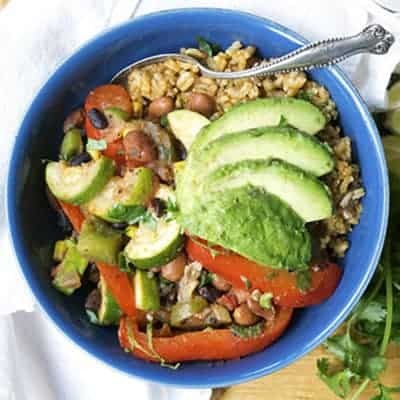 I like to make different variations of bean and rice. 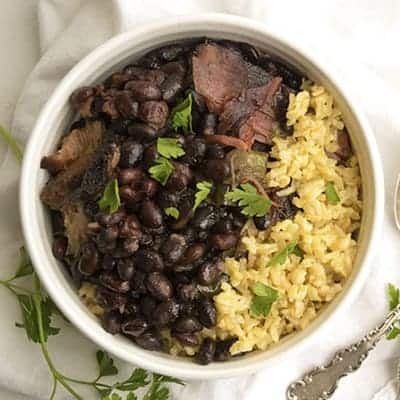 This version I call Spiced Black Beans and Coconut Rice. I top it with canned mango and peach salsa. The combination of coconut and fruit salsa will awaken your taste buds! 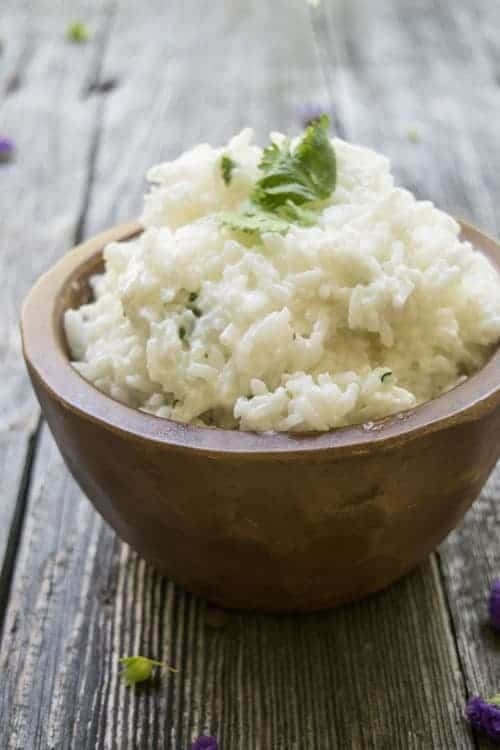 If you have never had coconut rice, you are seriously missing out. It’s decadent and rich with only a slight hint of coconut flavor. It’s very easy to make too. The best part about this meal is these are all pantry ingredients! I stock up on beans, rice, and salsa in case of any lazy day emergencies! 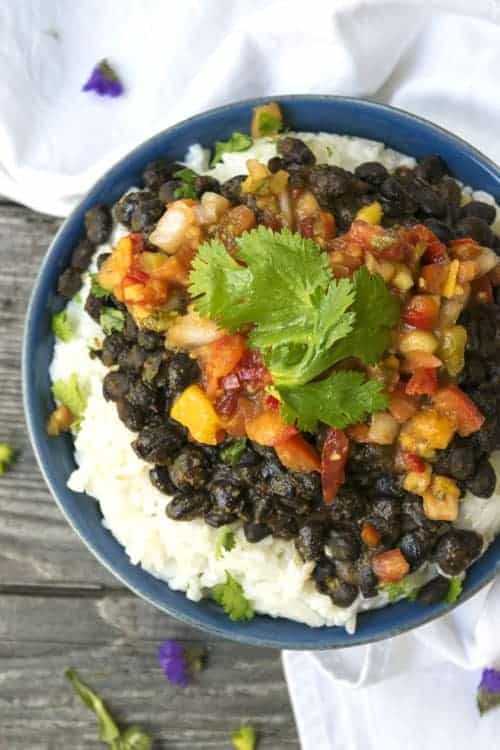 Spiced Black Beans and Coconut Rice topped with mango peach salsa is surprisingly an easy summer pantry meal. Whip this easy dinner recipe up in no time. In a medium pot with a lid, bring the coconut milk, water, and salt to a boil. Pour in the rice, and stir until the coconut/water mixture comes back to a boil. Cover the pot with the lid, and reduce the heat to low. Cook the rice for about 20 minutes or until tender. Pour the black beans, broth, chili powder, cumin, garlic powder, and salt into a medium pot. Turn the temperature to medium high heat, and bring to mixture to a soft boil stirring occasionally. Cook for 10 minutes, or until the broth has thickened slightly. 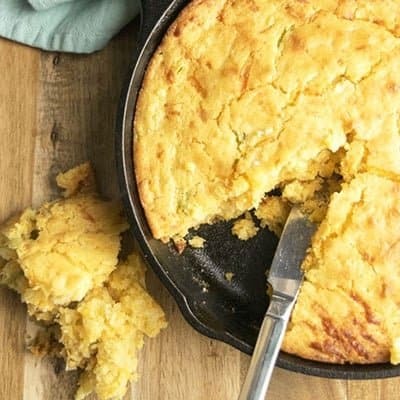 Try this Cheesy Jalapeno Cornbread to serve along side all of these dishes! « Grilled Vegetable Pizza on the Grill!